SSL Certificates are a wonderful security tool that every serious website should use. Whether it’s just a personal blog or a massive online store, having a secure connection makes it almost impossible for cyber criminals to intercept and steal sensitive data. 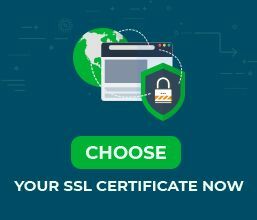 If you’re new to SSL Certificates, and eager to get one as soon as possible, congratulations, you’ve landed on the right place! SSL Dragon offers the complete range of SSL products to fit everyone’s needs. But before you buy your SSL Certificate from us, make sure that using SSL on shared hosting is possible on your server. Shared hosting is one of the most popular options for blogs, startups, and small businesses. You can launch your website for less than $10 dollars per month. But that’s not all, you can reduce this cost even further with discount codes and seasonal promotions. If you’ve recently started a new web project, chances are you’re on a shared hosting plan. The reason why it is so cheap is because of low maintenance costs. In shared hosting, you share your server with hundreds or thousands of other websites. Every hosting company has different internal rules when it comes to using SSL on shared hosting. Unfortunately, many users are unable to install a new SSL Certificate because of hosting company’s terms and conditions. 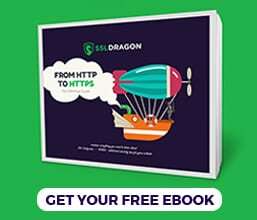 Some hosting providers may let you use a private SSL Certificate on certain shared hosting plans that come with a free dedicated IP address. Other companies may allow only a specific SSL brand which they sell as a complementary product. A good rule of thumb is to always contact your hosting provider before buying an SSL Certificate. Ask them if using SSL on shared hosting is possible. If it itsn’t, one solution is to upgrade to a better hosting plan, or move to a different hosting provider. The best way to ensure that your SSL Certificate will run smoothly on any server is to choose a VPS (Virtual Private Server), a dedicated server or a cloud hosting. With these options, you get more stability and reliability for all your hosting needs. You gain more control over your host and can install any type of SSL Certificate from any Certificate Authority. Once you’ve set up the necessary hosting account for your private SSL Certificate, all you have to do is browse our huge list of SSL certificates and choose the one that suits your project best. Our intuitive tools such as the SSL Wizard and the SSL Certificate Filter can help you make the correct decision. Whether you need a Domain Validation Certificate for a personal website, a Business Validation Certificate for your company or an Extended Validation Certificate for the highest level of customers’ trust and recognition, SSL Dragon has got you covered!